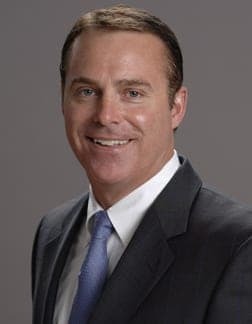 John B. Johnson is the Executive Vice President of Sales and Marketing and minority partner of Silver Eagle Distributors, L.P., the nation’s largest distributor of Anheuser-Busch products. Silver Eagle employs over 1,100 employees that serve 16 counties in Texas through operations in Houston, San Antonio, Conroe, Cypress and Rosenberg. Silver Eagle also distributes Grupo Modelo beers, a broad selection of microbrews and craft beers and several non-alcohol beverages and waters. Prior to joining Silver Eagle Distributors, John held numerous positions of leadership within the Anheuser-Busch sales and marketing team. The positions included Vice President, responsible for national sales, and Officer of the Anheuser-Busch Companies. Johnson has served as President of Houston Children’s Charity’s Executive Board of Directors and is currently on the Board of Directors. He is also a member of The Greater Houston Convention and Visitors Bureau, the San Antonio Sports Foundation and serves on the Corporate Contributions Committee of Texas Children’s Hospital. Johnson is a graduate of Saint Louis University where he received a Bachelor of Arts. He and his wife Laura are the proud parents of Brian.